Dear Project customers and Enterprise Portfolio Management explorers! We are planning number of local events in Europe – starting off with the UK! Did you know that leading industry analysts predict many IT departments will be connecting PPM with other portfolios, like APM very soon? Join us to learn more about how UMT360 can help you digitize investment planning and controls across your enterprise portfolios! Indeed building on top or Microsoft SharePoint and Project Server! We are pleased that Wellingtone UK will be hosting this first webinar in the UK for us! Register today! Hope to see you in few weeks – stay tuned – more coming to UK and other countries like Germany, France, Sweden! Join UMT360’s CEO Mike Gruia to learn how to transform your 2015 planning! 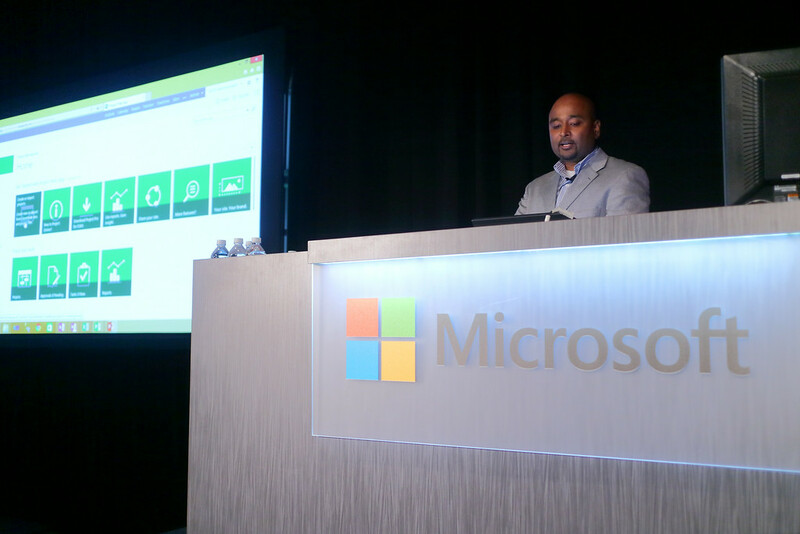 I had the pleasure to participate at WPC14 on Wednesday last week! 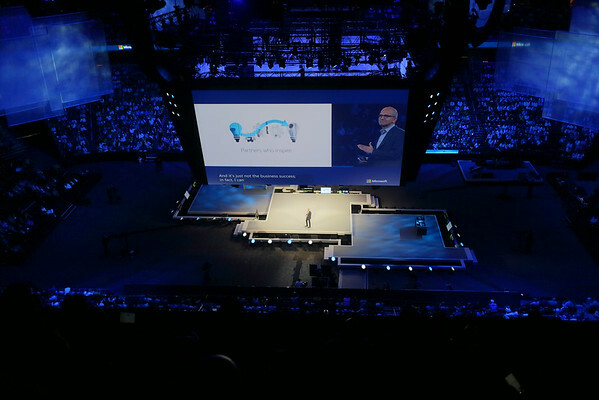 The morning was kicked-off by the new Microsoft CEO, he was not running like Steve and screaming to try to pump up the audience by his “entrée” but rather by the depth of his thoughts and demonstrations of innovative technologies. The slide below says “Partners who inspire” – and this is an interesting realization that Microsoft acknowledges partners as not only business partners, but also as a source of “inspirations” going forward. Glad to be on the other side now The Azure predictive algorithms demo from the ThyssenKrupp Elevators – be able to send maintenance before the system breaks – was simply very powerful – see the demo! The first Project session “#CL400: Help Your Customers Choose the Right Project & Portfolio Management Tool” was led by Krishna and provided the overview of the Project family from work-management to high end PPM with Office365, Project Pro for Office365 and Project Online. 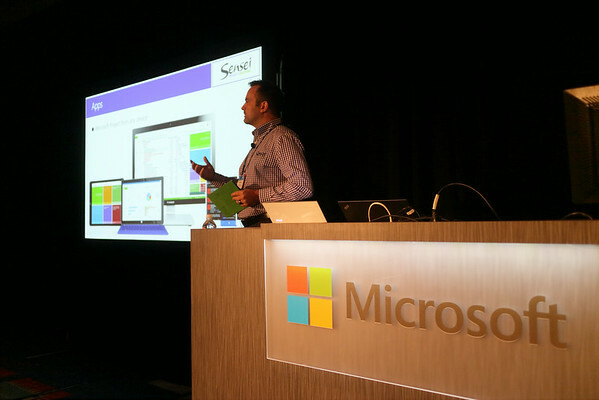 There were three demos – Raja showed task management in SharePoint, Yahya Project Pro for Office365 and Krishna Project Online. If you have not seen the mock-up of the upcoming work management and resource management – make sure to check it out! 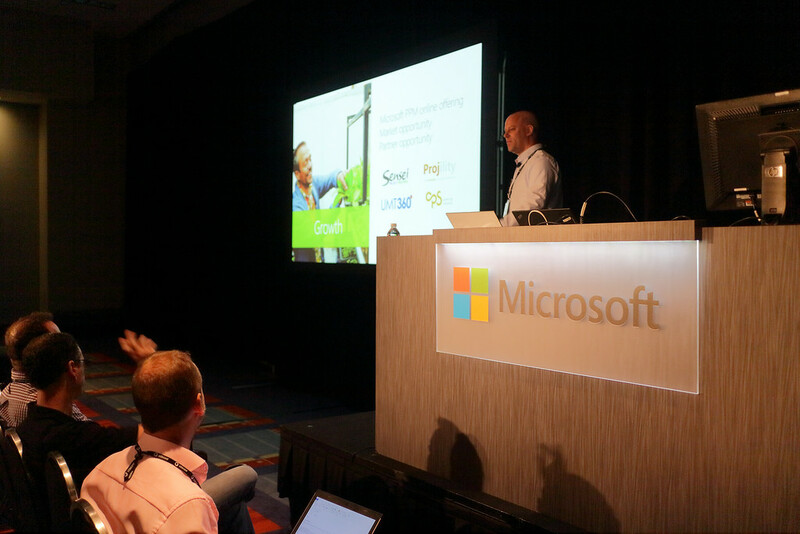 The second Project session “#CL443: Grow your offerings and profitability with Microsoft Project and Project Lite” was led by Yuval @ Microsoft who is the new partner manager on the business group side – congratulations! I’m very excited about his partner and Project background! Awesome! Yuval was highlighting partners of the year in the PPM space – Sensei – Kenneth, Projility – Rob, CPS – Ivan and UMT360. Sorry Rob and Ivan the photos did not turn out well. 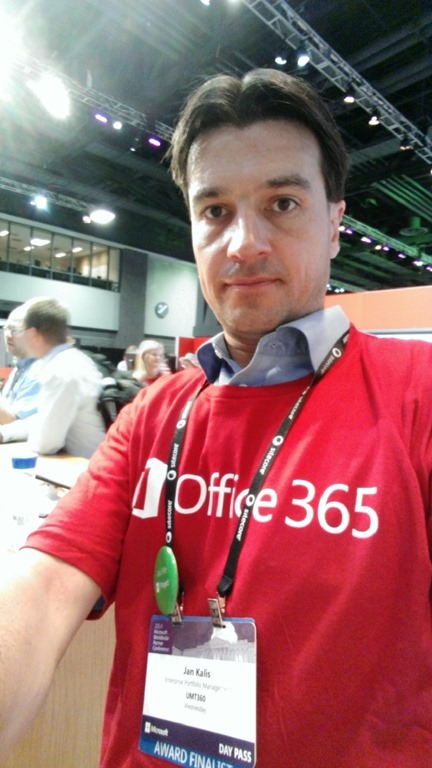 Since I was talking about the partner opportunity for #msPartners with @UMT360 I did not master to take a selfie at the same time… – here https://cdn.tri-digital.com/WPC/2014/CL443.mp4 is the session recording – highly encouraging to check it out! Despite the significant investments in PPM, it is failing to deliver the anticipated results. UMT360’s research shows that today companies are failing to realize up to 46% of the planned business value from the project portfolios. One of the main reasons for this loss in value is many PMO’s simply do not view projects as business investments, and as a result fail to effectively integrate financial management and PPM to proactively gauge the economic impact of poor project performance and take corrective actions. Join this webinar to see how UMT360 can help you gain complete financial Intelligence across your project portfolios and increase ROI. UMT360, the only Enterprise Portfolio Management solution built on SharePoint with seamless Project Server integration, is helping companies take their PPM to the next level. I’m very excited to extend this invitation to you as UMT360 and Microsoft PPM partners – in the “Learn How to Rationalize & Get More Business Value from your Applications” webinar Ben Chamberlain discusses the Application Portfolio Management – I see this as your opportunity that can help you to extend your business beyond and above the traditional Project and Portfolio Management, while still leveraging the familiar products, tools and processes. I do highly encourage you to attend! I want to make sure we all get the maximum from our partnership – so if you have any questions on the UMT360 partner program and benefits, please don’t hesitate to ask me! Please extend this invite to your friends and colleagues! Moving on and THANK YOU! Dear partners, friends and colleagues, I was really blessed to work with you – awesome people – in the past years during my career at Microsoft. I started in Prague subsidiary, later moved to Regional Center in Dublin and then to Corporate office in Redmond – AND it all adds up to wonderful to 18 years that will never be forgotten! It was a great ride on the top of IT wave from a dial-up modem to business critical services in the cloud! I’m really excited about the latest version Project, it has a TON of potential for many industries and different sizes of customers and I will be a keen supporter of this great product in the coming years! Hope that we will have a chance to see each other at another major event like SharePoint Conference or World Wide Partner Conference. The good news is that I’m not going far, I’m joining UMT360 as a Director of Partner Network and Product Management. I’m super excited about their dedication, enthusiasm and recognitions (Cool Vendor and Visionary for IIPA space by Gartner) in their efforts to help transform today’s IT organizations for the future! I’ll be happy to keep in touch with you all, my private e-mail address is jan_kalis@hotmail.com, business is jan.kalis@umt360.com (after 2/17). Twitter @meetJKalis and LinkedIn http://www.linkedin.com/in/jankalis. My new blog once built will be redirected from http://www.jankalis.info. As you know I’m keen photographer and I’ll keep sharing my photos on http://www.jankalis.com.